Sharad Mohan is the Co-Founder and CEO of Trainerize—the company known for digitizing the fitness club experience—and the driving force behind their mission to “make fitness accessible”. Sharad is helping fitness businesses leverage technology to stay relevant in the digital fitness age and engage their members in new ways using mobile and wearable devices. 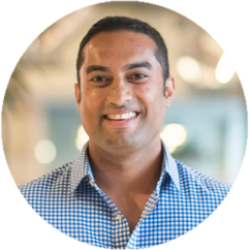 Sharad's combined passion for the customer experience and digital fitness fuel his commitment to helping fitness businesses engage and empower their members through technology. With 80,000+ fitness businesses using the Trainerize platform to digitize their services and offer online training, digital challenges as well as small group training, Sharad has quite a number of stories to share about online fitness entrepreneurship, the rise of the digital fitness club and the savvy digital fitness consumer.